Right before Christmas, we had a rare power outage here at my house. Thankfully my equipment racks are installed with two of the biggest, meanest uninterruptable power supplies from Middle Atlantic in both of the bottom three spaces of the double eight-foot rack installations in my mechanical room/closet. Other than the somewhat frightening flickering of the house lights before the power went out, I could tell we were having a power outage when odd fans started whirring and components start beeping in ways that aren't even close to normal. This is a good thing, even if it sounds like North Korean finally launched a missile this way, in that I was warned about the problem so I could gently shut down some pretty fancy components, such as a very pricey 4K Crestron video switcher and a 56 Terabyte Kaleidescape movie server. And I did just that--I powered everything down so that there weren't any disasters in my AV rack. Where I ran in to problems was in my office, located clear on the other side of the house. I use a pretty beefy APC battery backup to protect my Apple Macbook Pro rig. I was able to power down everything connected to my laptop (which was able to run on its own power for a long while). I powered up my little Verizon 4G "Jetpack" hotspot and connected for some "expensive Internet," which to be clear is far better than no Internet at all. The power was out for a good 3.5 hours and when it powered back up, the APC under my desk was none too happy about what had happened. It was beeping louder than anything in my AV rack and refusing to really power up my Apple rig. I tested out a standard AC six-outlet "bus strip" and it worked, meaning the APC was pretty much dead. I unplugged the APC (no small task, believe it or not) and ventured out into the height of the madness of Christmas shopping to solve a problem that I never dreamed I could have that day but did. I ended up going to one Staples store to find they had no UPCs in stock whatsoever. I went to the nearby, somewhat high-end independent hardware store, and they had nothing relevant either. 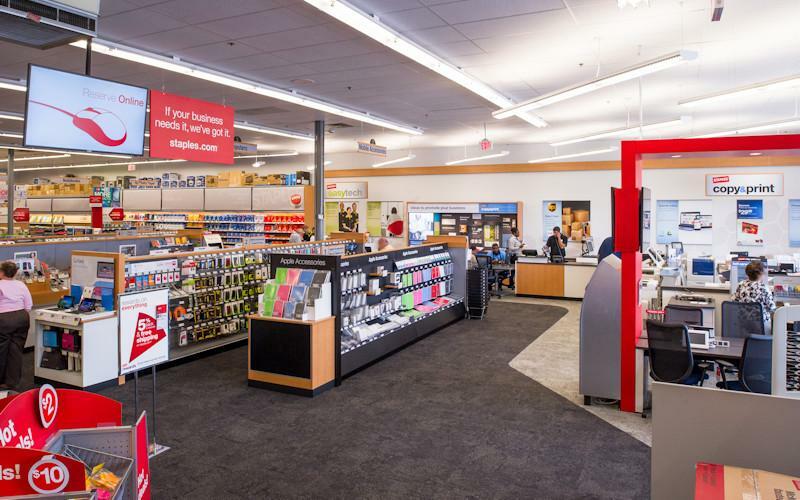 I had a Best Buy down the street, but they are rarely any help when I am in need, so I tried another, larger Staples store. The staff, including their "computer expert," didn't know what an "uninterruptable power supply" was and sent me to the wrong aisle. Ultimately, I found the APC stash--all of which looked to be open-box inventory--and popped for $99 for the UPC. At the checkout, I asked the clerk if they would give me a discount for an open-box unit, and they basically laughed at me and told me they could put it back on the shelf if I didn't want it. Considering the two hours I spent tracking this UPC down, I seriously wasted my time. I could have easily lived with the bus strip in place for a day until the APC came from Amazon Prime. Much like many of you out there, I do my best to support specialty retailers of all varieties, but more and more they are reacting the wrong way to the world-changing effect of Amzon.com and online retail as a whole. Physical stores have advantages that Amazon.com can't compete with. Brick and mortar stores have the opportunity to demonstrate a product. They can have salespeople who are trained and who can upsell you to a better product that meets your needs a little better. I am never upset to have some suggest a better solution to my tech problems when they know what they are talking about. Sadly, in today's mainstream retail we have too many clerks who are paid so poorly and incentivized in no meaningful way to add value to the sales process that Amazon.com wins in so many retail battles. The other thing that traditional retail can do is to actually inventory products at the retail level. Someday Amazon.com will do something crazy like buy up all of the empty Toys "R" Us stores and make them Amazon.com local distribution centers loaded with more product in more categories than one could ever dream of. Until that happens and day-of-delivery is more nationwide, brick and mortar stores have the ability to stock key products in volume in their stores. Yes, America--you can have what you want and you can have it right now. It is right here. How about some instant gratification? Oh, you like that? Funny, how did we know? The specialty AV business got a little sidetracked in the 2000s by the custom installation boom. The concept of a client walking in a store with a big budget home who would wait for all of the products to be installed and who would pay retail was tempting. So was not having to inventory so much demo or sales product. The problem was the traditional stores in many cases got away from their roots in chasing this new category of client. Does an AV retailer need to have every product from every brand you sell on hand and ready for demo? Nope. Not even close. But you do need to be ready so that if someone comes into your store looking for the basics, you have enough inventory to sell a basic home theater. Perhaps stocking one nice 65-inch TV ready for a last-minute installation might not be a bad idea. Would it be crazy to keep a 5.1 or 7.1 speaker system in stock from your go-to speaker brand? How about one or two receivers in the back from your go-to electronics line in a box and ready to go? Would it be crazy to keep 10 to 20 pairs of top performing headphones of different types in stock and ready to pop for people that come by for a demo? Today's specialty AV stores need to be aware that if the customer has to wait, they can just as soon go on Amazon.com (from their phone in the car before driving home) and buy the same product or something just like it. Americans don't like to wait. They want instant gratification, and I am as guilty of this as anybody. Hell, I freely admit that a small part of our revenue stream here at HomeTheaterReview.com depends on the see-it/click-it/buy-it impulse, so I don't mean to disparage it. But still, as much as we all love shopping online, none of us wants to see traditional retail go away. Back in the mid-1990s, I convinced my Wilson Audio national sales representative to send me every pair of WATT Puppy speakers that were B-stock, canceled orders, or whatever to my store in Beverly Hills. I knew that if I had in-hand a pair of $12,900 speakers that sounded better than anything on the market at the time (even when powered by a modest $1,000 integrated amp) that I could sell them, even in the recession of the early 1990s, for say $9,000 per pair and still make a really nice commission. The commission was motivating and the opportunity was sitting there in the warehouse. I would take the client out and show them the speakers. Often, we would team up to drive them home. I even un-crated a pair to fit into a client's car who wasn't going miss out. At 19 years old, that sale made me a four-figure commission as I was no clerk at the time--I was a commission-only salesman. 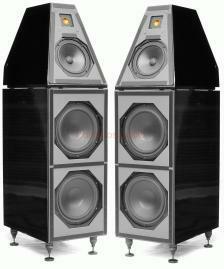 The hobby of audiophilia and home theater are based around experiences. Those experiences are better in a traditional store, delivered by a trained, motivated, and often commission-based salesperson. The AV stores that are going to make it going forward are going to be the ones who can present the experience and explain the technology while providing instant gratification that Costco, Target, and Amazon.com can't compete with. One company that has figured this concept out is Apple. While I am not the biggest fan of the Apple store as a power user, they rarely are out of stock on any of the key products unless it is the day a new phone launches. They woo you in and they close you on the spot in most cases. I think top-level specialty AV dealers can do an even better job than Apple, as they are capable of explaining and demonstrating the entire experience. Once again, that ain't happening at the warehouse store or on a web page. • A Tale of Two L.A. Malls Sheds Light on the Future of AV Retail at HomeTheaterReview.com.